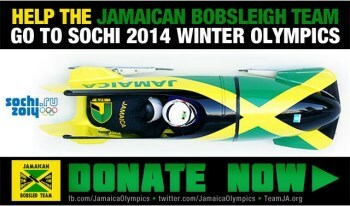 The Jamaican Bobsled Team is going to Sochi thanks to the generosity of the internet and the glory of the Dogecoin. The two-man bobsled team from Jamaica qualified for the Sochi Winter Olympics a couple days ago, marking the first time Jamaican sledders have made it into the games since 2002. But with the good news came the bad: Having a ticket to the Big Show doesn't mean much if you can't get there, and the team is strapped for cash. The sledders took to Indiegogo yesterday to raise funds for the journey and have so far brought in roughly $14,000 of an $80,000 goal, a solid start by any measure. But once word got out that the team needed help, the internet took matters into its own hands, setting up Dogesled.net, the "Jamaican Bobsled Dogecoin Fund," and inviting users contribute. And contribute they did, to the tune of more than 28 million Dogecoin at last count - that's over $36,000 - in just one day. To avoid a potential loss of value due to currency fluctuations, the founders of the fund have already pulled and converted the majority of the Dogecoins donated to the more stable Bitcoin cryptocurrency. "Myself and (Dogecoin creator) Jackson Palmer were at a local pub trivia in Sydney when we noticed the value of Dogecoin had more than doubled since we'd last checked so we raced back to my house to ensure we could get the best price for the donations in a form the team could actually use," Liam Butler of the Dogecoin Foundation told the Guardian. "As much as we have faith in Dogecoin to become the community currency of the internet, we still understand that the team need to buy their airfares in a fiat currency." The 2014 Winter Olympics begin on February 7 in Sochi, Russia. I dearly hope the Jamaicans are there.